Grassbanking is a tool that incentivizes ranchers to adopt conservation practices on their property in exchange for grazing access on another property. Qualifying conservation practices may include weed control, removal of fencing, restoring habitat for key species, and granting a conservation easement on their property. Grassbanks benefit ranchers by giving their own lands an opportunity to rest and improve forage quality while their cattle graze elsewhere. Since the Malpai Borderlands Group, a rancher lead collaborative in New Mexico and Arizona, invented the concept in the 1990s, at least five additional grassbanks have been established in the western United States, and efforts to establish 17 others have been documented. Although grassbanking has been successful in several situations, its widespread adoption has been constrained by high start-up and operating costs and challenges in quantifying the amount of forage that is provided in exchange for conservation practices. When the Malpai Borderlands Group created the first grassbank on the 300,000 acre Gray Ranch, it was intended to help promote conservation of the Malpai Borderlands by working in partnership with the ranching community. 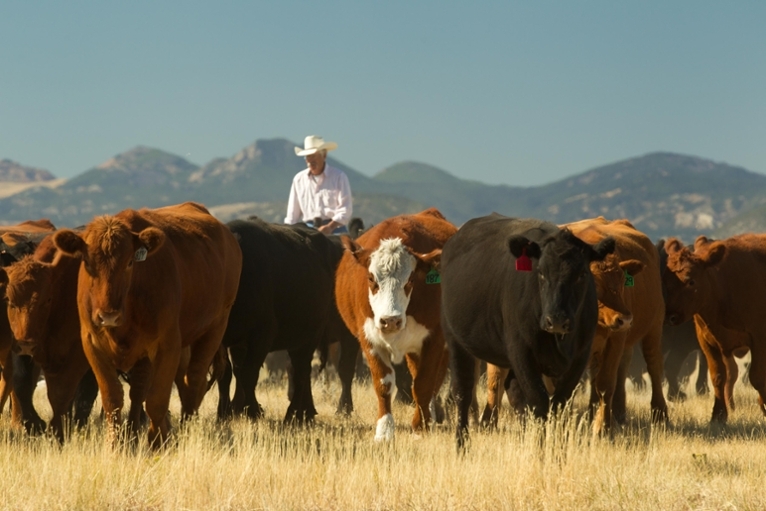 In exchange for granting a conservation easement on their own property, participating ranchers could graze their cattle on the Gray Ranch during periods of drought and allow their land to rest. In 2002, The Nature Conservancy (TNC) borrowed the concept and developed a grassbank to engage ranchers in Montana in conservation efforts. After three years of drought, ranchers were struggling to find suitable areas to graze their cattle. Under a new grassbanking arrangement, these ranchers could graze their cattle on the 60,000-acre TNC-owned Matador Ranch at a reduced rate in exchange for adopting conservation practices on their own land. For instance, in 2013 the average lease for private grazing land in Montana was $21 per month for each cow and calf pair, but participating ranchers paid as little as $10.50 after taking deductions for specific conservation actions. Since this grassbank was developed, the Matador Ranch has accommodated about 1,000 yearlings and 860 cow-calf pairs annually. Throughout the entire process, ranchers were instrumental in establishing management plans for the grassbank. The Matador Grassbank has achieved significant conservation results by extending its 60,000-acre footprint to influence over 220,000 acres in the region. Participating ranchers removed or altered 50 miles of fencing, controlled weeds on 200,000 acres, prohibited further ground breaking, and conserved tens of thousands of acres of Greater Sage Grouse and prairie dog habitat. In exchange, these ranches had a chance to recover without severely reducing profits during droughts. The Matador Ranch grassbank provides a concrete example of how this innovative conservation tool can benefit both agricultural livelihoods and ecosystem health. "The Matador Ranch grassbank provides a concrete example of how this innovative conservation tool can benefit both agricultural livelihoods and ecosystem health." Cattle being herded through pasture on the Matador Ranch. Photo: Kenton Rowe. White and Conley. (2007). Grassbank 2.0: Building on what we have learned from the Valle Grande Grassbank. Rangelands, 29(3), 27—30.